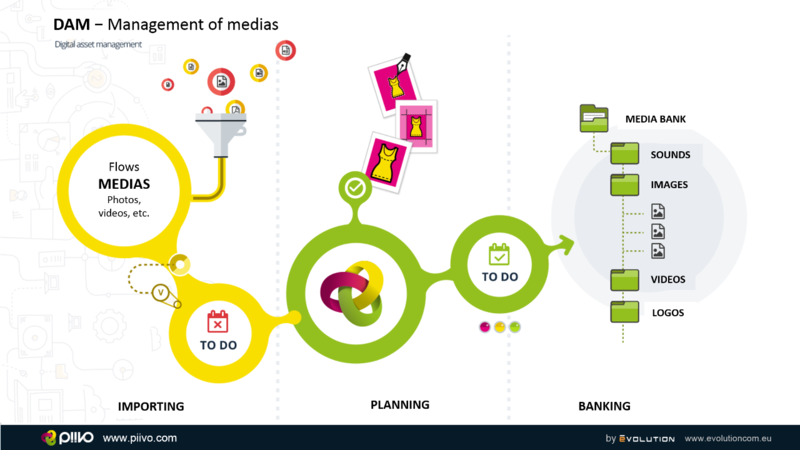 The solution image bank for structuring and enriching all your medias: Images, videos, sounds, etc. An internal user, a photo agency or a supplier places one or more images in a “waiting room” folder. You can validate the new image by using a validation status as well as a refusal comment. A green dot on the image thumbnail lets you quickly verify if the image meets the technical criteria of your brief (resolution, colour profile, format, etc.). A batch browses the validated images and verifies the characteristics of each image. If the image is rejected (wrong resolution, wrong type, wrong naming, etc. ), the image is placed in a folder “Erroneous photos” and its status is updated with a description of the reason for the refusal in a comment area. If the image is validated by the batch, it attaches the image to the product according to the rules defined in the batch (based for example on the product reference indicated in the name of the image). The status of the image in relation to the product is also updated. 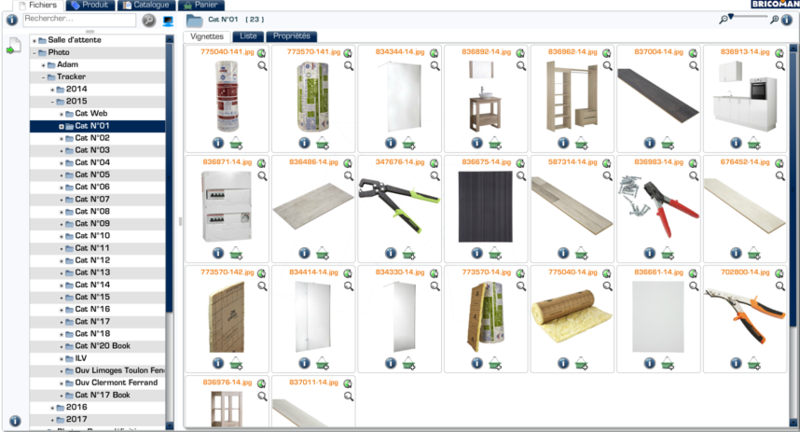 Thanks to a status on the product, the user is alerted when certain products have new images. They will then browse through these products to validate the product images (potentially comparing new product images with old ones). For mood-setting images, we offer an overview of all products related to the image. 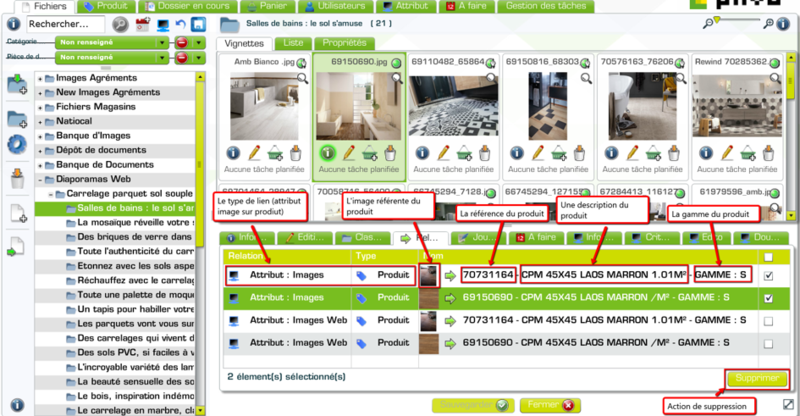 For example, although this tile product has been linked to the mood-setting image, the user can see that this product is actually not present in the image. They can simply delete the image-product link in one go. 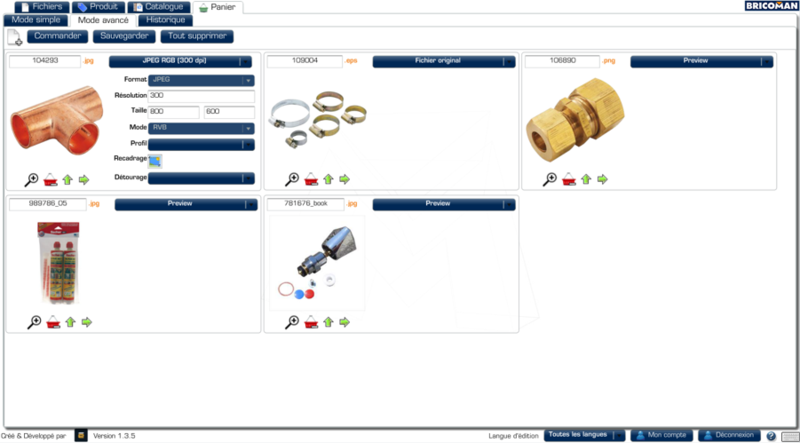 The Akeneo - PiiVO DAM native connector has been developed on Akeneo version 1.6 and offers two-way synchronization of product and asset information. SaaS offer : price per month. On premise offer possible. 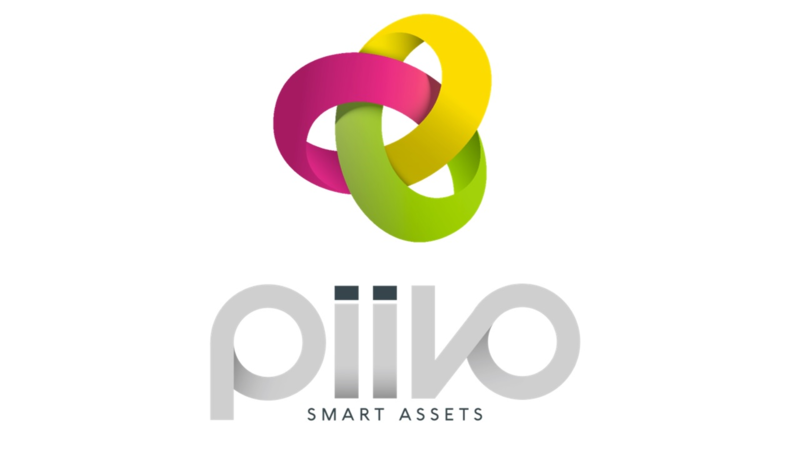 Contact sales@piivo.com to tell us more about your project.